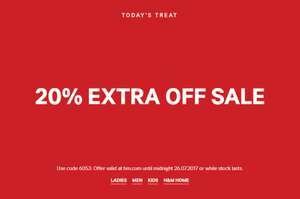 An extra 20% off the 70% off sale today only. Free delivery over £50, free C&C over £20. U get off full price styles around 11-12% with this code too!!!! Just used it now expecting only a discount on sale items!